Comprova: investigating misinformation online during Brazilian elections – All Markup News. Home » Google » Comprova: investigating misinformation online during Brazilian elections – All Markup News. In October, an estimated 138 million Brazillians are expected to head to the polls for presidential elections in Latin America‘s largest country. Over the past few years, we’ve worked closely with news organizations around the world through initiatives like Electionland in the United States, Verificado in Mexico, and CrossCheck in France to help combat misinformation in the runup to national elections. In Brazil, we’re building on that work with the launch of Comprova, a collaborative reporting effort to verify disputed news online and share verified information back to the public during Brazil’s presidential election season. The initiative will be a joint collaboration with First Draft, a project at the Shorenstein Center at Harvard’s Kennedy School, Abraji (Brazilian Association of Investigative Journalism), Projor (Institute for the Development of Journalism), Associação Nacional de Jornais(National Newspaper Association), and 24 newsrooms and organizations. The work is crucial to the efforts of our recently launched Google News Initiative, which works alongside news organizations around the world to elevate quality information and combat misinformation. Since Brazilians consume the majority of news on their mobile phones across a wide variety of websites, Comprova will focus on misinformation circulating on the mobile internet. Brazilians will be able to use their smartphones to send rumors and stories that they want to be verified by the coalition, and sign up to receive notifications when fact-checked stories are available. First Draft has built technology specifically for this project so that newsrooms can monitor misinformation networks and collaborate online in real time. This will make it easier for newsrooms across Brazil’s massive land area to work together on an unprecedented scale. They will produce visuals, like shareable images, gifs and short videos designed specifically for mobile, to be published on the central Comprova site and partner websites. 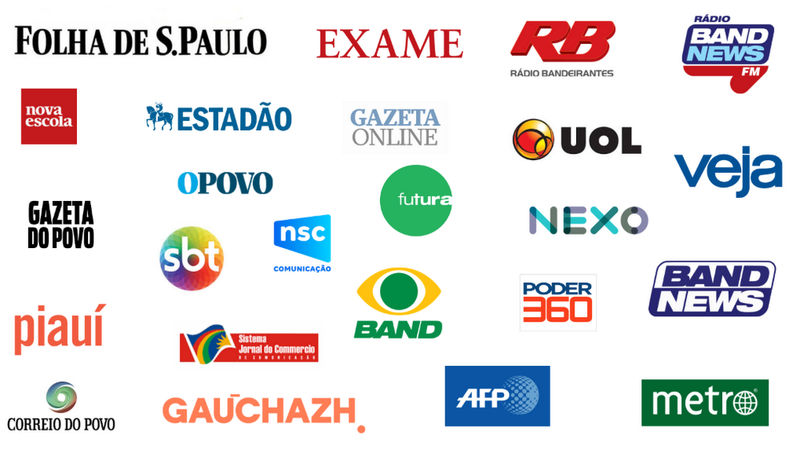 Comprova is a coalition of 24 news organizations in Brazil, from startups to radio, TV, print media and digital natives. Led by Abraji, the coalition also brings together resources and expertise from Google and other technology platforms such as Twitter, Facebook and NewsWhip, industry associations, and news organizations across Brazil. The groups share a common goal—ensuring that Brazillians have accurate information when they cast their ballots in October. You can follow Comprova on YouTube, Twitter and Facebook. Voting doesn’t begin until October 7th, but there’s still a lot of work to do before polls open. For more on the Google News Initiative, including trainings, trends and tools for journalists, visit g.co/newsinitiative.